If you’re flying solo and looking for San Francisco apartments for rent, take solace in the fact that the Golden Gate City is one of the hottest spots in the country while you’re experiencing single-dom. Why, you might ask? There’s the fact that the city offers so much to do and see, for starters, but beyond that, the atmosphere is just right for single folk to strut their stuff and have a great time doing it. Today, we’re going to be tackling the realities of single life in The Bay, and touch on some of the great activities you can get into when you’re single and ready to mingle. The Marina Safeway — It didn’t get its nickname, “the Dateway,” for nothing. The hot to trot frequent this spot like it’s a happening club, and your chances of meeting a few friendly faces are high indeed. Crunch — Can you meet a potential date at the gym? If that gym is Crunch, you just might, and in between those vigorous workout sets you just may be able to secure some numbers of interested if you play your cards just right. Cow Hollow — This entire neighborhood is full of great spots to mix and mingle throughout the night. Balboa, Mauna Loa, Bar None, and more stand ready to facilitate interesting conversation with some of San Francisco’s most engaging denizens. El Rio — Yet another of San Francisco’s “hot” neighborhood bars, with a cool and collected atmosphere and varied settings for all sorts of fun. Take the conversation outside to the patio to enjoy the nighttime views, or stick to the comforts of the indoor bar, and make some friends in a few rounds of ping pong while you’re at it. Momo’s — Momo’s bar and grill sits confidently on the South of Market waterfront, and as you sit confidently inside its premises, you can catch other city singles, whether they’ve come to stop in after catching a ballgame or just moseyed on by for a quick drink. 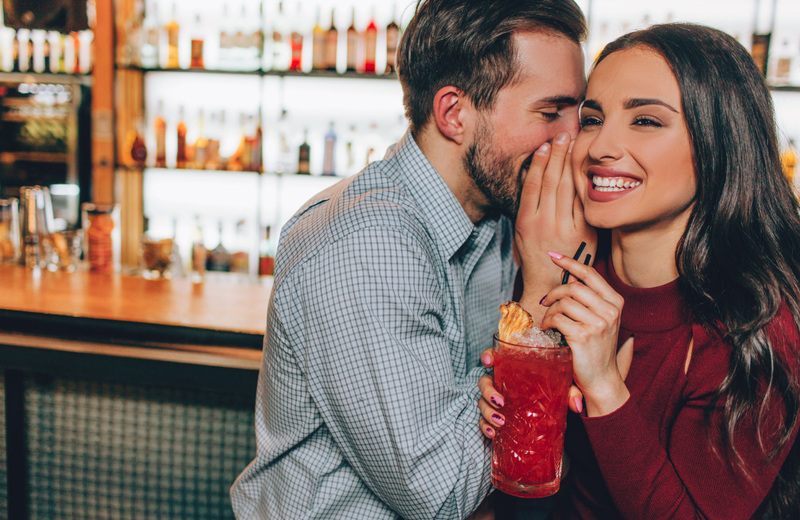 Casanova Lounge — It’s a lounge, so you know the atmosphere will be just right for striking up a lively conversation with someone interesting. Just be sure not to imbibe too much, and don’t let the superbly comfortable setting throw you off of your A-game. Hogwash — Ah, Hogwash. Our Union Station craft beer paradise. While you’re waiting around for a sausage and a brew, be sure to say “hi” to your neighbors at the communal tables and see where it goes from there. The Social Study — A cafe with Wi-Fi that transforms into a music-heavy hangout by night? Sign us up! The mood here is just right for meeting someone special, and you’d be doing yourself a disservice by letting it go to waste. d to do is break out your moves and go with the flow. In addition to these popular locations, Eventbrite notes that you can attend just about any training event, museum, or street fair, of which San Francisco has plenty. So, what we’re saying is, minor drawbacks aside, San Francisco is a great place to be single and meet new folks — as long as you’re willing to get out there and make an effort! That frenetic solo lifestyle of yours will be complete when you’ve got a killer single’s pad to call your own. For that, you needn’t look any further than The Towers at Rincon, where luxury, comfort, and convenience are a part of everyday life. Positioned in San Francisco’s blossoming downtown, you’ll also be close to all the hippest city happenings, and for a budding single, that combination is all you need for some memorable times. Check out what The Towers are all about, then get ready to upgrade your single life with a brand new apartment that truly fits your personality.